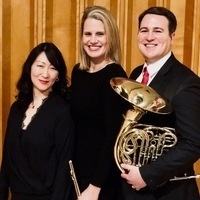 The Boulanger Initiative, an organization dedicated to promoting the music of women and women-identifying composers, presents this concert with the Artémis Trio. Program includes Katherine Hoover's (1937-2018) Summer Nights; Gina Gillie's (b.1981) Sonata for Horn and Piano; Fanny (Mendelssohn) Hensel's (1805-1847) Notturno in G minor; Valerie Coleman's (b.1970) Danza De La Mariposa; and Mel [Mélanie] Bonis's (1858-1937) Scènes de la forêt, op. 123.